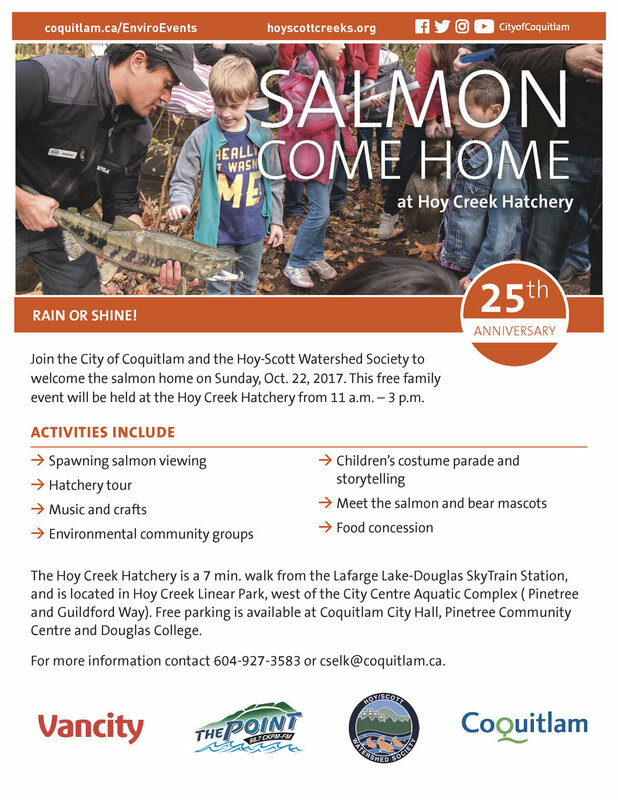 Join the City of Coquitlam and the Hoy-Scott Watershed Society to welcome the salmon home on October , 20. This free family event will be held at the Hoy Creek Fish Hatchery from 11 a.m. – 3 p.m. Activities include: spawning salmon viewing, hatchery tour, music and crafts, environmental community groups, children's costume parade and storytelling, Meet the salmon and bear mascots, and a food concession. It's our 25th Anniversary of Salmon Come Home! Read a press release about our history HERE.